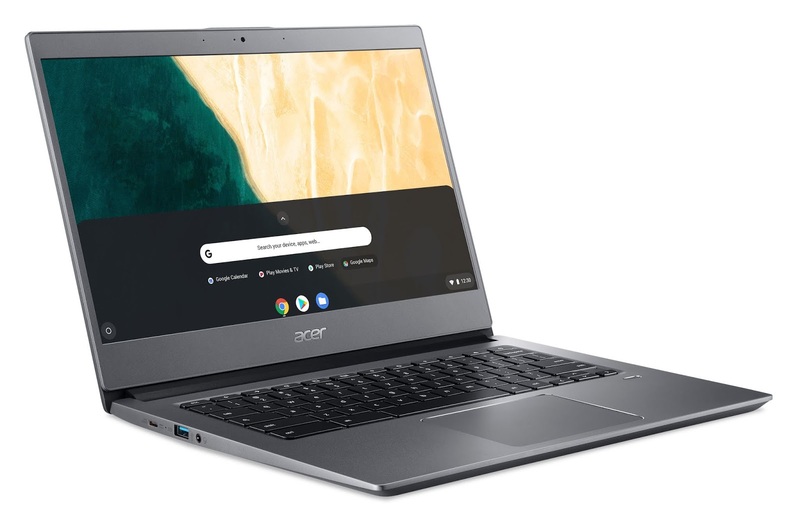 Acer has introduced two new premium Acer Chromebook lines, the Acer Chromebook 715 and Acer Chromebook 714, designed to help employees work in the cloud more securely and efficiently. Both new Acer Chromebooks have a premium all-aluminum chassis that delivers military-grade (U.S. MIL-STD 810G[i]) durability, as well as an integrated fingerprint reader, and Citrix Ready Certification. The Corning Gorilla Glass touchpad allows smooth navigation through apps, websites and projects. Plus, the touchpad features click-anywhere functionality and is also scratch- and moisture-resistant. The 15.6-inch IPS[iii] display allows viewing of multiple apps and tabs in vibrant Full HD 1920x1080 resolution. The Acer Chromebook 715 comes in both touch-screen and standard display options. The Acer Chromebook 715 and Acer Chromebook 714 provide fast and reliable Dual Band Wireless-AC 802.11ac/a/b/g/n 2x2, while Bluetooth 4.2 delivers a convenient connection to peripherals.